La Fête de la Musique is a lively street music festival held every June 21st in Paris and is one of the year's most popular events in the city of light. Hundreds of musicians gather in the streets, bars, and cafes of Paris, giving free performances of everything from jazz and rock to hip-hop and electronic music. 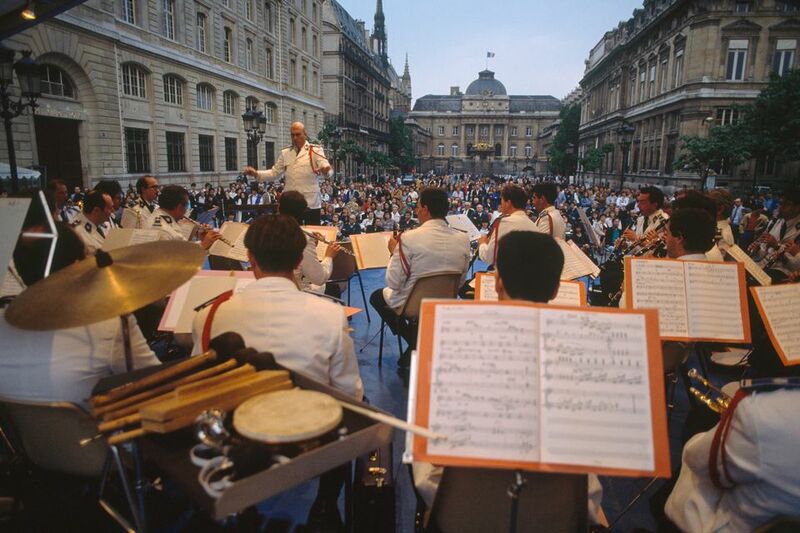 To get a taste of authentic Paris culture, don't miss the Fête de la Musique on a June trip to Paris. The mood is light and the opportunity to get to know the city's neighborhoods, bars, and cafes like a local is rarely better than during this convivial event. This is a must for any early summer sojourn in the French capital-- but to really make the most of it, scroll down for tips on how to navigate the program like the locals do. The Fête de la Musique is held every June 21st (the day of the summer solstice) and generally starts at sundown. To find out what performances are scheduled around your hotel or in a specific Paris arrondissement (district) for the event, see the official website. Generally, there are hundreds of shows going on around town - everything from sidewalk-site quartets and garage bands to outdoor stadium events - so there's always an abundance of choice. Everyone has their own strategy for making a night of it: Some prefer to sift through the official program and elect a few carefully selected concerts; others like to wander the streets and stumble on great(or mediocre) concerts. Snake aimlessly from the Beaubourg Neighborhood, up to République and Belleville in East Paris, getting a taste of everything from thrash metal to Yiddish folk music. By letting yourself happen upon performances, you'll get to dabble in different styles and most likely get more out of the event. As you might expect, the Paris metro is often full to the hilt for the occasion of the Fête de la Musique. Paris buses will have problems circulating, too, as many streets are blocked off to install stages. Think about walking to get back to your hotel-- you'll likely save time and may just get a peek at a few more memorable concerts on your way back. Make sure to bring a good Paris city street map out with you. Luckily, some Paris metro and RER (commuter train) lines will be open all night long so you don't have to worry about getting stranded somewhere! In addition, the night bus ("Noctilien") service can get you anyplace that the metro and RER lines can't (but you won't likely need them).